Brrrrrr!! It’s so chilly up in NYC it’s had me thinking layers, layers, layers all day long. It’s also provided some insight to how stark my closet is of good sweaters. 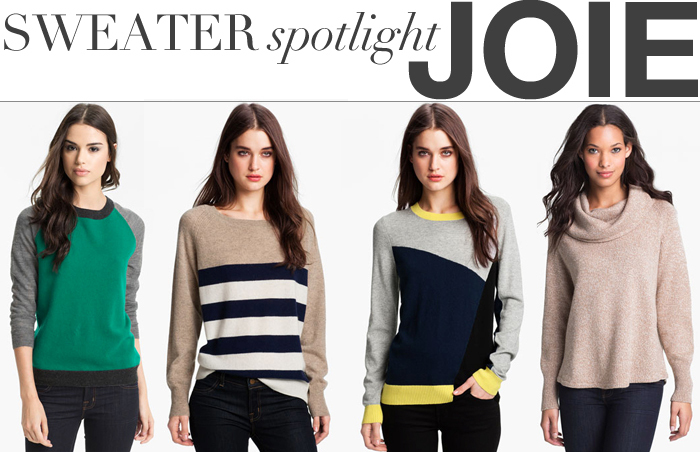 I’m in dire need of some comfy, stylish knits and Joie has an awesome selection right now. The middle two are my favorite – love the unique use of color and stripes! I’m hoping to scoop up some sale sweaters while I’m up here – I’ll keep you updated with what I find!